Creating Momentum: 9 Principles That Energize Your Business for Sustainable Success by Nettie Owens. Coming 2019. Edited by Deborah Kevin. Who am I now? Realign Your Home and Life by Kate Varness, CPO-CD, COC, MA. March 2019. Edited by Deborah Kevin. Soul-Hearted Living by Dr. Debra Reble. January 2019. Edited by Deborah Kevin. [Re]Discover yourself, [Re]Define your brand by Rachel Dunham. 2018. Edited by Deborah Kevin. Shine! 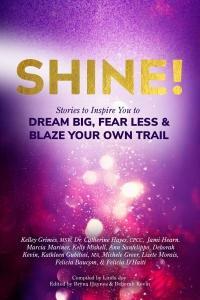 : Stories to Inspire You to Dream Big, Fear Less & Blaze Your Own Trailby Linda Joy. 2018. Edited by Bryna Haynes and Deborah Kevin. God Winks and Miracles Happen: A story of love, faith, and hope by Rhonda Bolich-Lampo. 2018. Edited by Deborah Kevin. Wealthy in the Woods: A call to a deeper, richer, healthier living by Debbie Tuttle. 2018. Edited by Deborah Kevin. Courageous Heartsby Linda Joy, Edited by Bryna Renee Haynes and Deborah Kevin. 2017. International Best-Seller. Tales of the Traveling Fruitcakeby G.D. Locks and Fred Fruitcake. Edited by Deborah Kevin. 2017. 7 Steps to Recession-Proofing Your Business: Leverage Your Business for Long-Term Success by Frank Demming. Edited by Deborah Kevin. 2017. Amazon Best-Seller in two categories. More Than Enough: Discover Your Limitless Potential and Live Your Bravest Dream. Second Editionby Lara Habig. Edited by Deborah Kevin. 2017. 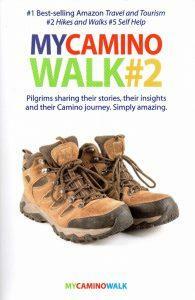 Lessons Learned on the Way to Santiago. Aspire Magazine, 2017. Building Bridges to Raise Awareness for LGBTQI Rights in Kenya. Equitas International, 2017. Amplifying the Voices of Young Refugees in Toronto, Canada. Equitas International, 2017. A Secret to Lasting Love. Notsalmon.com, 2015. An Interview with Joseph Ross. Little Patuxent Review. One Hundred Thousand. Little Patuxent Review. Voices of his past: An Interview with Michael Ratcliffe. Little Patuxent Review. Seizing Each Moment for Change. Little Patuxent Review. The Tenacity of Robert Montgomery. Little Patuxent Review.